Even if you have never vocalized it, you have a philosophy on money and finances which dictates how you handle your finances. The question is: how did you develop that philosophy or better still, who taught you the value of money? If you really examine yourself, you might discover that consciously or unconsciously, you have adopted the philosophy and / or attitudes your parents (or guardians) had towards money. Depending on what that philosophy is, it might be a good or bad thing. You might have had parents who were very frugal or spendthrifts or an unhealthy combination of both. More than likely, it rubbed off on you. What got me thinking about this was the fact that inasmuch as many Nigerian parents insist that their children should choose certain professions, they do not emphasize financial education. Apart from finding fulfillment in your profession/career, it is supposed to supply your immediate needs e.g. food, clothing, shelter, makeup, perfume, Brazilian weave, Yaba weave, fake eyelashes, over-priced designer shirts (the one where the horse is flogging the man and not vice-versa *wink*), iPad, bicycle, generator, bucket, etc …LOL (I couldn’t help myself … I just had to have fun with that list ... I think I got carried away and added stuff for NYSC camp *smh*) The list is endless, but you (and not your aristo or “sugar-mummy”) are supposed to be able to afford these expenses based on your income. My point is this: parents often say “go and read law, go and read medicine, go and read ______ (fill in the blanks) so you can make plenty money like Uncle So-and-So,” but you usually don’t hear parents talking about how these kids should acquire financial wisdom/intelligence to manage the supposed “money” that they will spend the rest of their lives making. I have noticed that it is after people graduate from college that they now start attending all sorts of financial seminars and workshops, trying to educate themselves on money and finances. Wouldn’t it be a much better idea to start CONSCIOUSLY and DELIBERATELY educating young people from a very early stage about these things? I think so because in that case even if their parents don’t set good examples, they can have another institution to help correct their views on money (That's assuming the media has not completely "infected" them with the "swagger" mentality). Yes, I am suggesting that the school can correct some of the things the parents get wrong, but it is just a suggestion. I am not sure how feasible this would be, and in fact I can already see potential kata-kata bursting if parents disapprove of what schools teach their kids. But that will be a separate topic for another day. 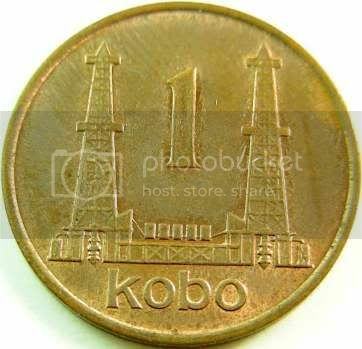 On another note, what do you think would happen if you took one kobo to buy something like “tom-tom” or chewing gum? Ahhhh, I can see aboki taking that one kobo from you and stoning you with it! Shege! Abi na lie I talk? That just tells you what one kobo is worth today. Likes: It sounds well-produced and edited (thank God!) The intro was really welcoming / relaxing (to me, at least). I particularly like the slight reverb effect (makes her sound like she is in a well and really gives the effect of solitude, which is what prayer often entails). The beat is not particularly slow (it is arguably not even slow at all), which lets the song sound different from a typical worship song. It also has this contemporary, jazzy/soul feel that I gbadun well well. The songwriting is pretty good and flows with the “chop-chop” fashion (the verses and chorus deliberately lag behind the beat or vice-versa) in which she sings the verses. This lends an air of authenticity to the song, like it is a true heart-felt prayer, genuinely flowing from her heart to God. I also liked the emphasis on the pronunciation of “WAIT-ING” in the chorus from the mini-acapella part to the end. Dislikes: The background vocals are a bit loud in some parts, but for the most part, they sound balanced. Gogo’s voice gets drowned out by the background vocals towards the end when she adlibs and the background vocals sing the chorus. But then again, that might be exactly what the producer intended. So what did you think about the song? I would love to know! You raised a very important point here. It's true that parents often neglect the wisdom behind managing money and often tend towards making money only. I guess the reason is because subconciously they believe if you earn a lot of money, perhaps you don't need much wisdom with regards to the handling but if you earn less, you sure needs a whole lot of wisdom in handling it. haha. *just my thoughts* U agree? That song is lurrrvely...I don't know if it's the fact that I expected it to be good because she actually had some training, but it just has a nice, smooth finish in my opinion. Thanks for sharing! Money management is a very needful topic to teach children. On the horse flogging the man...you just a clown! I couldn't help laughing. You know this is one reason I am a fan of boarding schools in secondary school. For me they were the beginning of financial education and finally independence. I am good with money and proud of that fact. My philosophy about money came from living in lack. As a child in part of my childhood in the care of a maternal grandparent, he did not give allowances, even to get money to travel to school was a problem and i'd find myself up at 4:30 am pacing the floors till 6 am rehearsing many ways to ask for money to travel to school, on the days when my courage abandoned me, I would walk. I learnt how to make the pittance i had last as long as humanly possible. The pittance usually came from my paternal grandmother who would give me a little from little she had and I would make it last as long as I could. That and the hustle I hustled to work is how I survived. No one with the exception of my paternal grandmother who was poor herself gave me anything and I didn’t ask. I learnt quick how to save, how to be creative to make money last so I could provide for my needs and myself. A lesson I cherish today and understanding that out of that hardship came a blessing. So did you finally get a chance to listen to Gogo? LOL @ the stoning. I have never heard of any stoning in Mecca o ... Na wa! I think you make a valid point here, but I don't completely agree. If you cannot manage your money properly when you are earning a little, how then can you manage it well when you are earning a lot more. I think it depends on the nature of your employment. If you are an employee collecting a salary, then your expenses are personal and you might not need a lot financial wisdom because regardless of what you do, you have a steady cash flow every month or so. For an enterpreneur though, the consideration is different. He has BOTH business and personal expenses, so the stakes are higher. He would need to have a lot of financial intelligence to keep his business afloat. Yay! Glad you liked the song. I suppose I did build anticipation with the info on her being a professional, but I agree. It does sound more polished than some others. You're welcome ... my pleasure. For the things no one teaches us, life is a ready teacher, right? Keep marching forward! Yes, Mike. Learning the value of money and how to manage it wisely is an invaluable lesson, that we learn from various sources (good and bad). Sometimes, experience is the best teacher. You mean you haven't seen the horse flogging the man before *smh* Very expensive shirt, I tell you! LOL! So you like boarding schools? I am actually not a fan, but you're right about how they help teach students independence and financial wisdom. You have to manage the money (and provisions) your parents give you until the next visiting day (or afterwards). For those who don't learn then, there's always college/uni, but again, that depends on the kind of uni you attend. On men, i am really feeling this song i played it over and over again, really nice, as for money my mum is a retired banker, i learnt to give account for EVERY penny spent ..